YEREVAN.- Armenia's acting Prime Minister of Armenia Nikol Pashinyan convened a consultation during which traffic reforms were discussed, the official website of the Prime Minister of Armenia reported. 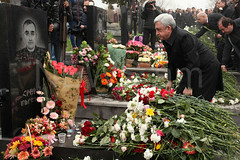 “The political changes in Armenia have created a new situation for the Police of the Republic of Armenia. Of course, this transitional period might seem that would be difficult for the Police, but we can say based on the results of our 6-month work that the Police solved the problems put before it quite well. This does not mean there are no shortcomings. The most important task we put before the Police just at the beginning is to achieve a change in the people’s attitude towards the Police. 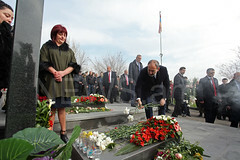 In this sense we have really succeeded”, Pashinyan said. “I am confident we will manage to establish entirely new public-police relations as a result of joint work. This is a very important issue and we have to achieve it”, he emphasized. 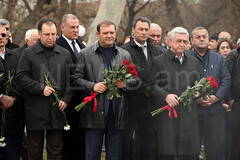 Afterwards, Police officials presented to the acting PM the bill on making amendments in the Code of Administrative Offenses of the Republic of Armenia, which is about reviewing and decreasing penalties.